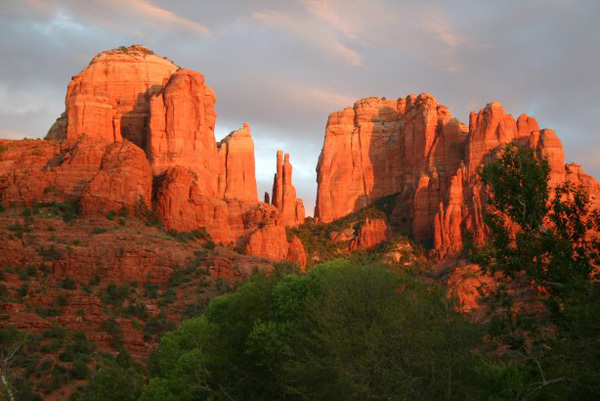 After a three year hiatus and back by popular demand, Grace will once more be accepting couples and singles to join her on this most unique educational vacation–her Sacred Sedona Retreat to be held at the newly renovated luxurious Orchards Inn hotel in the city center. 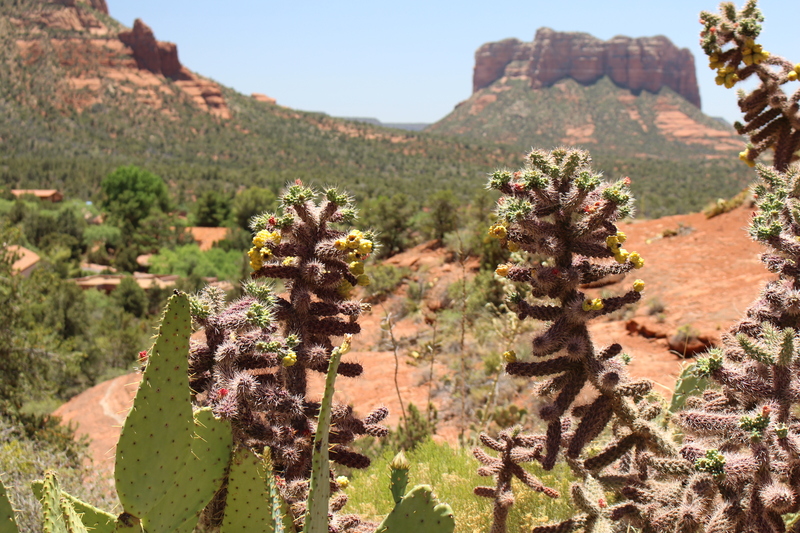 WHY SEDONA? 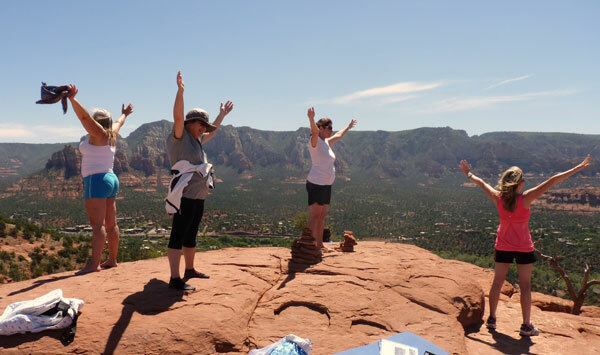 Energy rich Sedona is a natural wonder–visually stunning but also a spiritual power center perfect for self-awareness and personal growth. 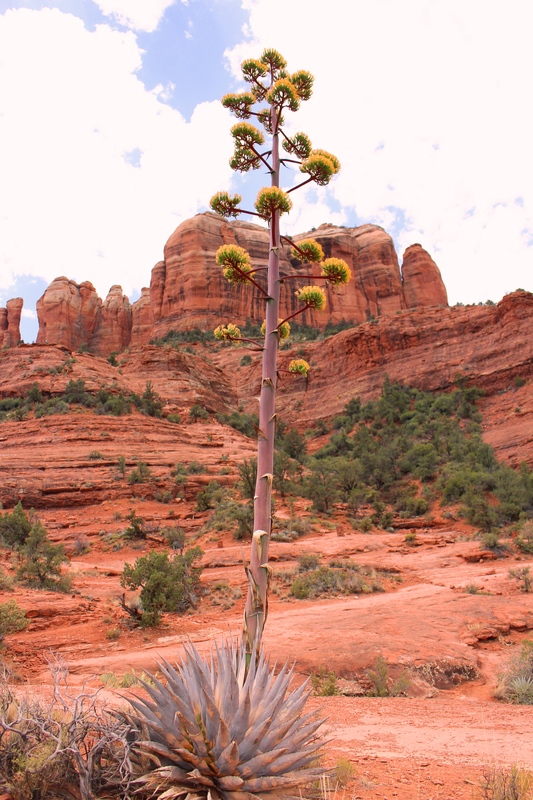 The red rocks are not only beautiful but they are vortexes of energy and people report feeling transformational shifts here, along with insight and good feelings. 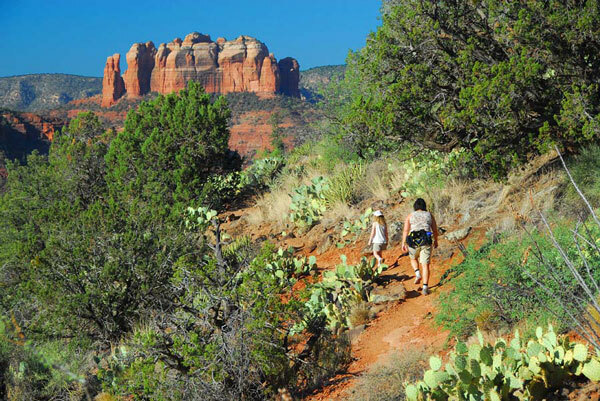 If you’re coming with your romantic partner, Sedona is for lovers. You will feel your heart chakra expand. 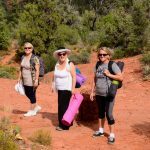 Our mornings will be spent together, hiking at the different rock formations (vortexes) and in workshop sessions with Grace outdoors. 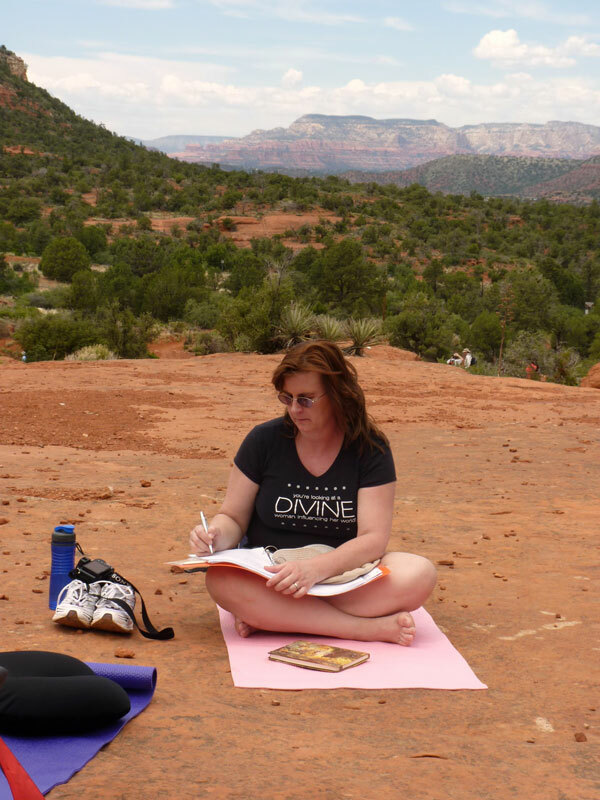 She will teach you how to connect with your Spiritual Self and then lead you in mindful meditations. On other days there will be lectures on energy medicine and spiritual psychology. You will have time for journaling, reflecting and meaningful sharing with your partner and if you’re coming alone, Grace will partner you up. 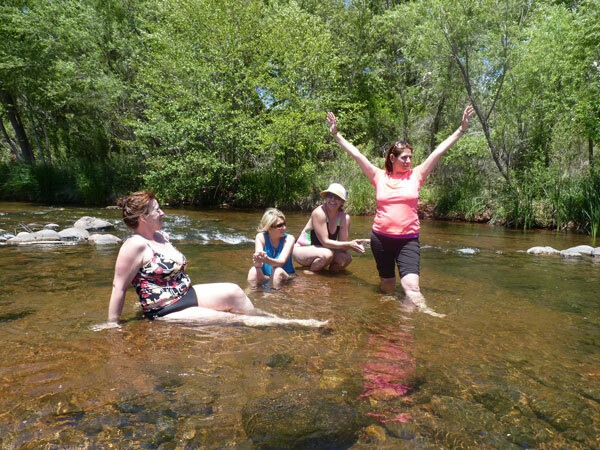 Each morning you will take part in the official program, but your afternoons and evenings will be at leisure so that you can enjoy some R & R as well as take advantage of everything Sedona has to offer. Relax at the pool or Spa or discover the many shops, galleries, cafes and restaurants. Except for our Welcome dinner and our Farewell dinner as well as our adventure with Pink Jeep Tours, the rest of the time is yours for rest, relaxation or adventure. With Grace You Will Learn how to not let stress get to you, by practising the most important technique–meditation. You will also diagnose which of your energy centers may be blocked and how to unblock them as well as how to maintain the healthy flow of “chi” (energy) throughout your body for maximum health and vitality. 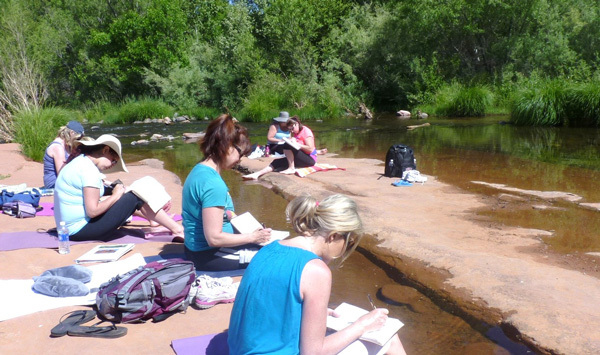 You will learn and practice various energy medicine movements and have the opportunity for soulful reflection, journaling and sharing. 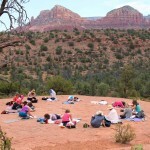 Grace’s classroom will be the beautiful outdoors at the vortex sites that make Sedona famous. 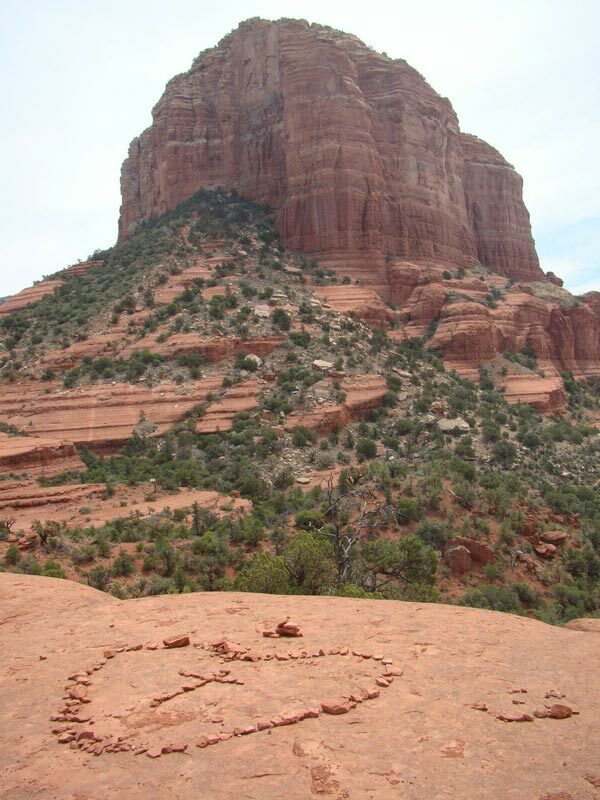 The four vortex sites planned for this trip include Bell Rock, Cathedral Rock, Red Rock Crossing and Airport Mesa. 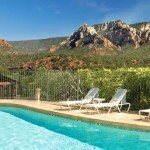 Located in the heart of Sedona, this AAA Four Diamond Award winner has been named one of the top 500 hotels in the world by Travel and Leisure magazine, and received the “Top 100 Hotels in the United States”. Once you see your Queen or King Suite and the fantastic view, you’ll understand why. Recently Trip Advisor has given Orchards Inn another distinction: Top 10 hotels with Magnificent view. View Trip Advisor Link Here. 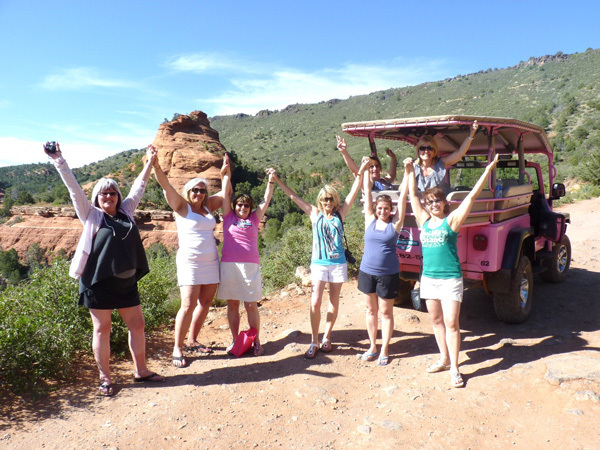 We’ve negotiated an extra special group rate of $300 + tax per night per room. A hot buffet breakfast is included in your room rate. 10 Queen Suites (2 Queens) $275. $275. $275. $275. $275. 5 King Suites $275. $275. $275. $275. $275. After you register for the retreat with our office, you can make your own room reservations by calling the hotel directly at 1-844-258-2148 . 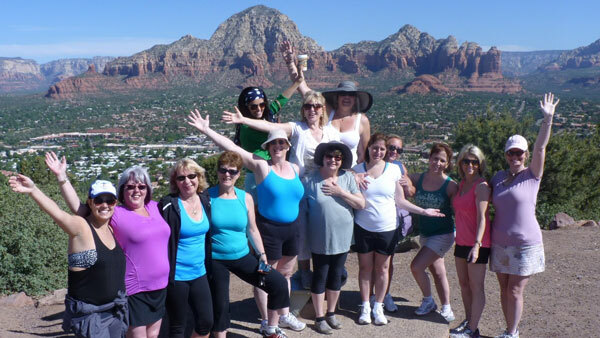 Please mention Grace Cirocco’s Sedona Retreat to get this special rate. DEADLINE: Rooms will be released Feb. 8, 2018! This is a very popular hotel and is always booked up. If you are coming, make sure you book your room with plenty of time. ROOMMATES: If you are coming alone and want to share a room, please let us know when you register and Grace will match you up. 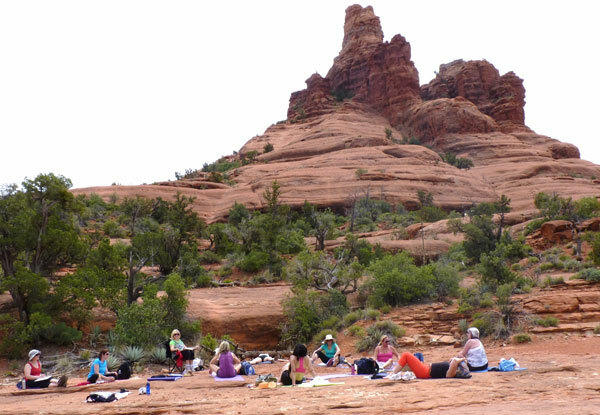 Sacred Sedona 6 Day Retreat Fee: $1499 Cdn + HST per person. Space is limited on this retreat and priority registration will be given to graduates of Grace’s RRR and TTS Retreats. ***Hotel, and airfare not included. By phone. Call 905-688-0868 Speak to Leah or Paris. Cancellation & Refunds: Any cancellations will result in a $200 admin fee. Cancelling less than 90 days before departure will result in 100% penalty unless we can find a replacement in which case, you will be charged only a $200 Admin Fee. Absolutely no refunds within 30 days of departure, though your space is transferable to another woman of your choice and subject to our approval. All cancellations must be in writing. Grace Cirocco Inc. reserves the right to cancel a trip at any time. In the event of such an occurrence, any payments received will be refunded in full. NOTE: Travel insurance/trip cancellation insurance is always recommended. Because we reserve the right to cancel or change the date of this trip, we highly recommend that you purchase trip cancellation insurance when buying your airfare. 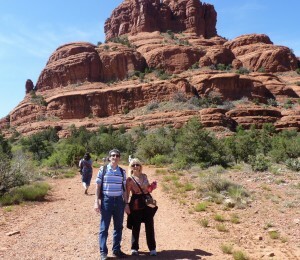 Travel insurance and medical insurance while in the USA is optional and your responsibility. GRACE CIROCCO INC. is not responsible for prepaid, non-refundable travel arrangements. 1:00pm – Enjoy your afternoon by visiting the shops, going to the Spa or resting by the pool. 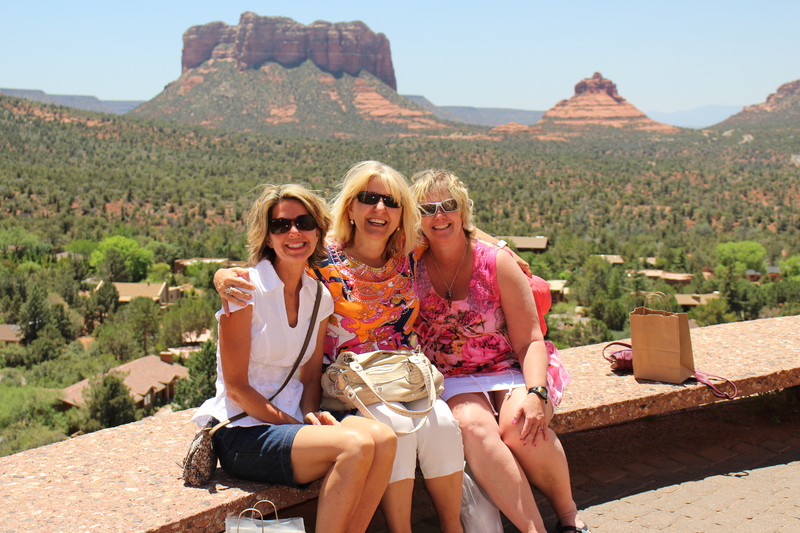 After breakfast, travel back home or continue exploring Arizona! 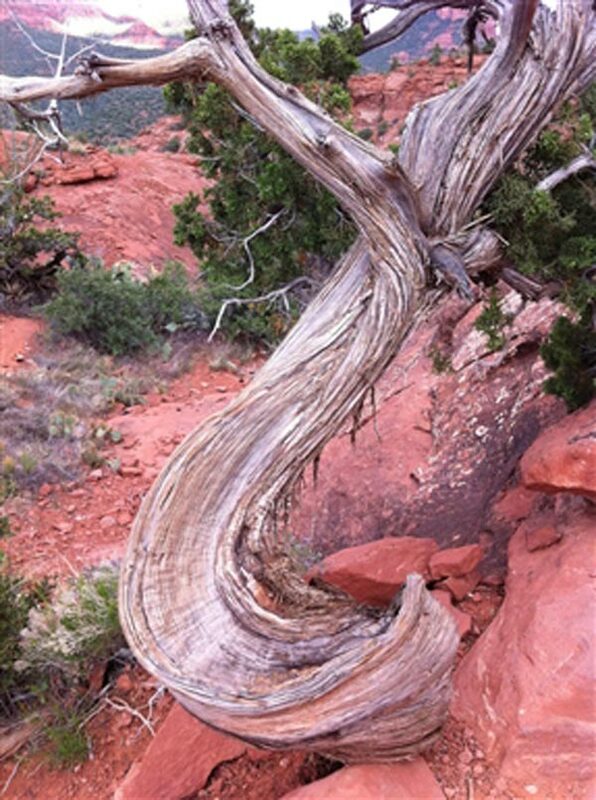 The Grand Canyon is only 2 hours away! 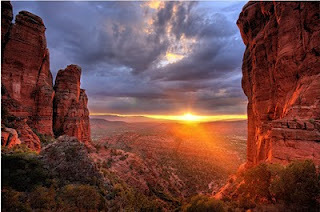 FLIGHTS: It is recommend you fly into Phoenix and rent a car. 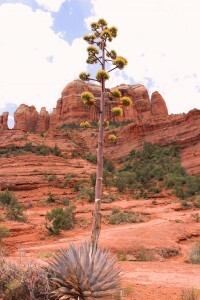 Sedona is a two hour drive north of Phoenix. 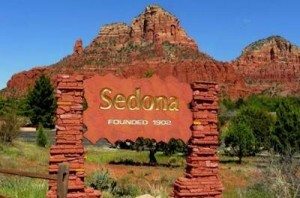 You can also fly directly into Sedona but it is a very tiny airport and way more expensive. 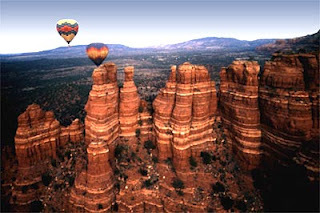 The airport in Sedona is built on a vortex and is called the “most beautiful airport in the world”. 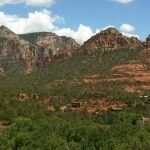 From there, it is a 10 min taxi ride to downtown Sedona where our hotel is located. 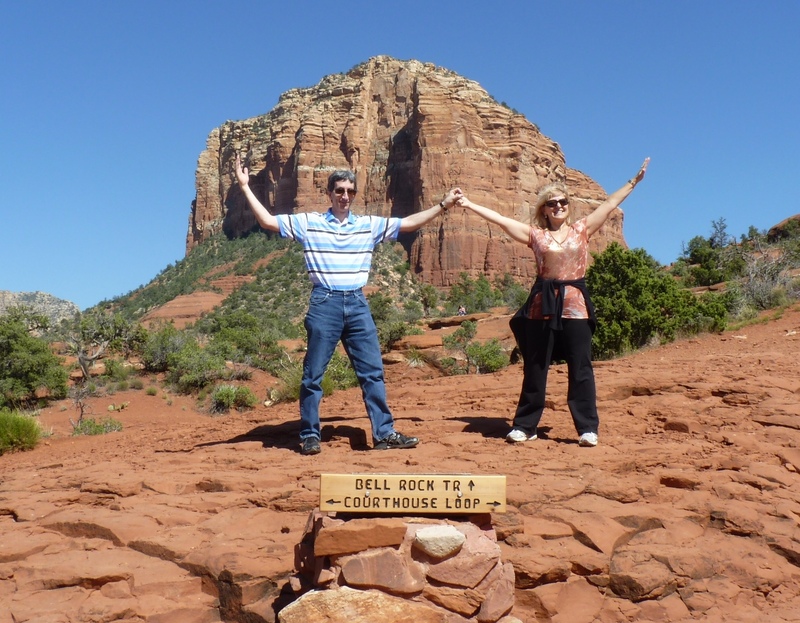 You can also fly into Flagstaff, AZ, slightly shorter distance to Sedona and the drive even more spectacular. 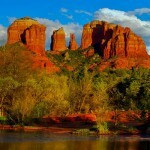 GETTING TO SEDONA: If you are arriving into Phoenix airport, you can get a shuttle directly to our hotel in Sedona. 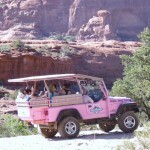 Visit www.arizonashuttle.com or you can rent your own car ($20-$30/day). 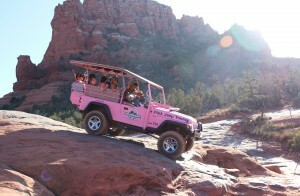 TRANSPORTATION WHILE IN SEDONA: Each day we will be travelling to different mountains (vortex sites) in Sedona. We will be car pooling to get around; ideally 4 people per car. So if you don’t want to rent a car, you don’t have to. If you would like to share the car rental for the week, you can let us know at registration, otherwise we will assume you are renting your own vehicle. The scenic drive to Sedona from Phoenix is approximately 2 hours and spectacular. A valid driver’s licence is required. Please check with your insurance company before you leave whether your automobile insurance covers any car rental out of province or out of state. WHAT TO BRING WITH YOU: The air is warm but dry. Temperatures could drop at night so please bring a light jacket or sweater. 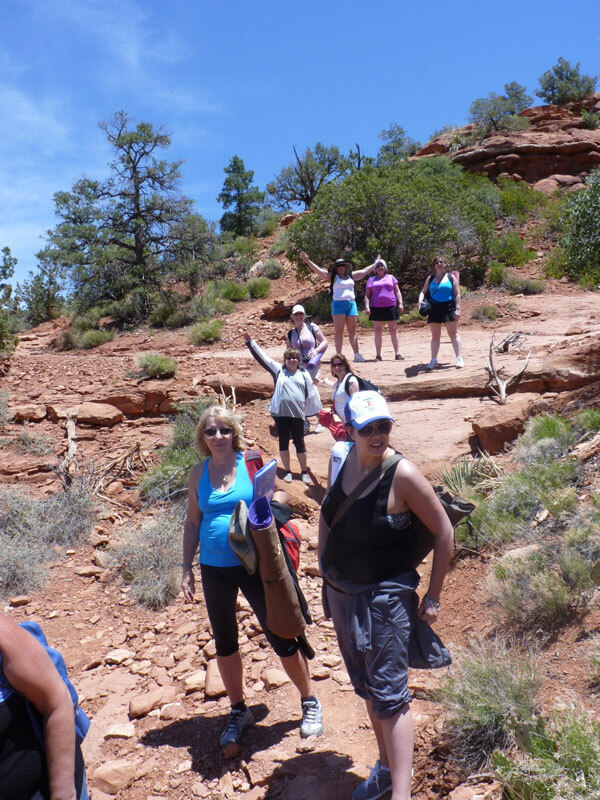 Pack comfortable, casual clothes, bathing suit, hat, sun glasses, comfortable shoes especially for hiking and walking in the red rocks, and something festive for our fancy dinners out. Also, you will want to bring your camera and a journal. What an amazing week! First with my visit to the Grand Canyon (on my bucket list since I was a child) and then your retreat in Sedona. I thought the Grand Canyon couldn’t be beat, but you have created an amazing brain-expanding and soul-enriching experience Grace. 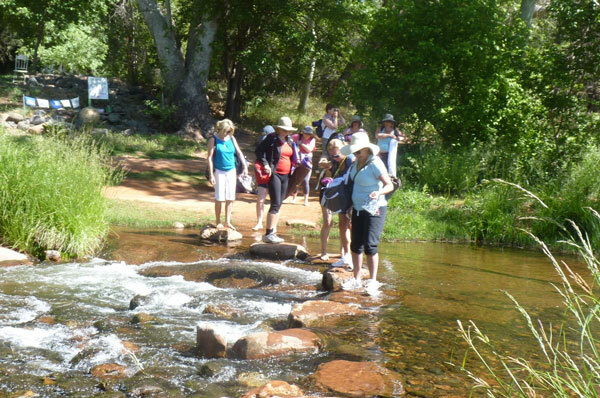 I loved everything: your meditations and workshops on top of the mountain so we could feel the energy of the place, the Welcome dinner on the creek that was in my opinion a ‘sacred’ experience, the fun we had in the afternoons exploring the art galleries and the shops of Sedona and just relaxing by the pool. I love how you bring us together and make all of us feel so special. It was the perfect educational vacation for me and I’m happy to say that I am filled with positive energy and Light. I can tackle so many of my undones with an open heart. 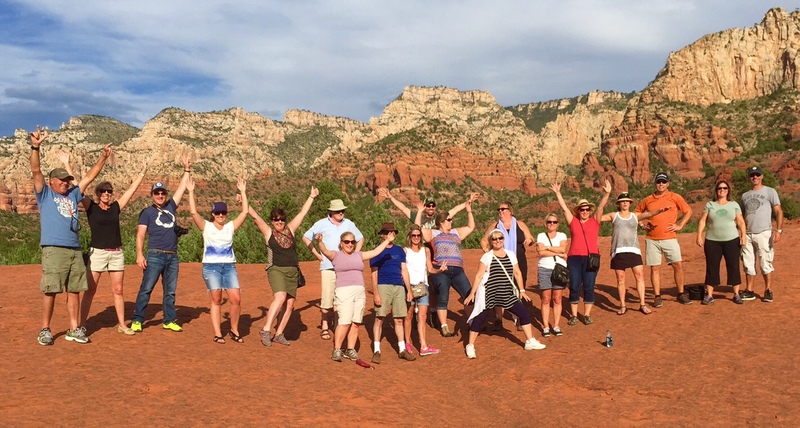 Thank you Grace!” Sue L.
“What an incredible retreat vacation this was! I totally needed to unplug and unwind from my busy, crazy life and this was a breath of fresh air for my soul. Thank you God for Sedona–what a jewel it is and thank you God for Grace. Once again, you have created an out-of-the-box amazing experience that not only grew new brain cells, but expanded my personal awareness of what I am capable of. 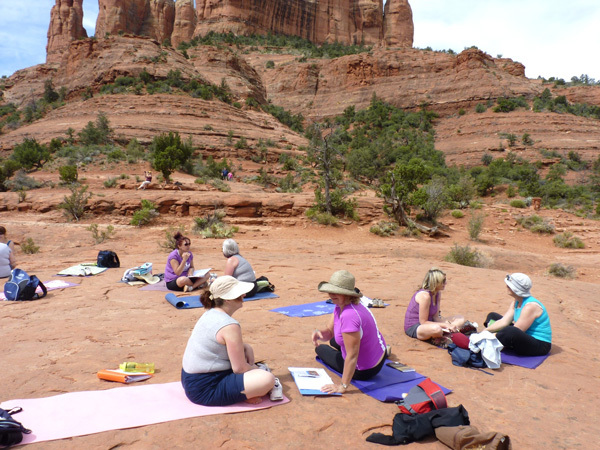 Being outside each day meditating was a transformational experience. I love your meditations, Grace! 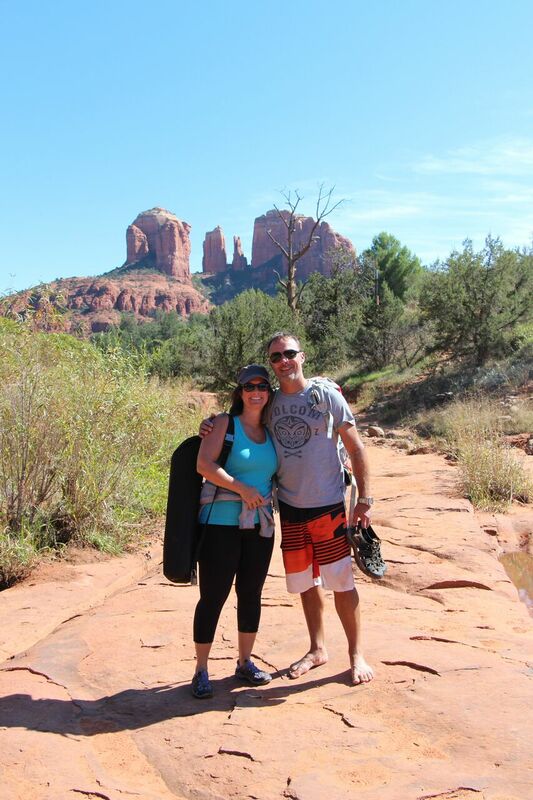 You put so much of yourself in everything you do and I have grown so much, first at the Couples Retreat and now in Sedona. I’m bringing my husband next year! Tina C.
God bless you… and thank you for your generosity. 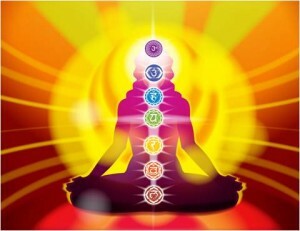 I really appreciated to come home to receive your note with the additional exercises for our chakras. 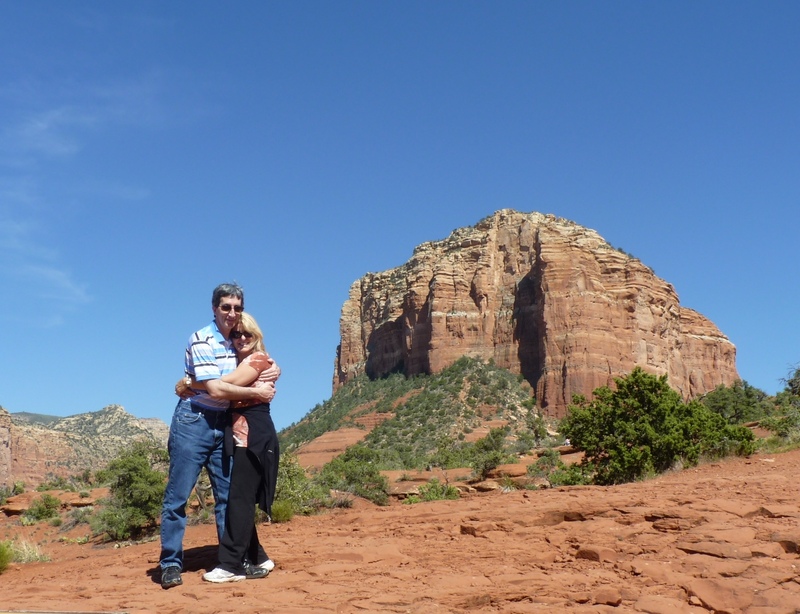 Your Sacred Sedona retreat has forever changed me and that change has had a profound effect on all those around me, especially my husband. I made him laugh and I also made him cry! The memories are locked up inside me especially on my birthday and the ways you made it special for me. 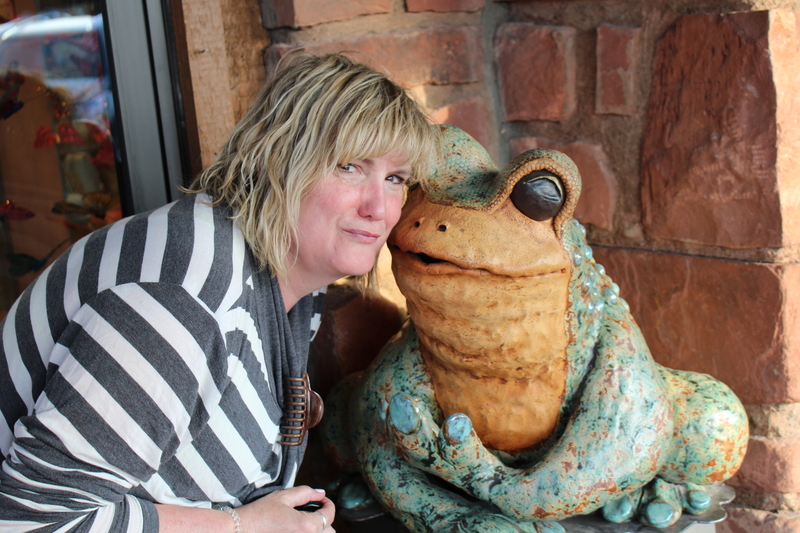 I loved your 40 page workbook for the Energy Workshop we did at the Vortexes. You should copyright it because it is fantastic. Annie B. “Dear Grace: Thank you for all the hard work that you put into planning and executing such an amazing trip to Sedona! I knew it would be special but I had no idea how life affirming it would be for me. For the first time I feel set free and grounded and ready to begin my life. I came home and my first day back to work, everything was going wrong. The energy was affecting every part of my day. I took some private time and meditated on my chakras and balanced myself and the rest of the day was powerful and fabulous. I have never known how to truly care for myself and control my reactions before. I always felt that I was out of control by the circumstances and people in my life. I now feel truly grounded and actually feel that I have power. Thank you so much! !” Susan T.
“Beautiful Grace!! 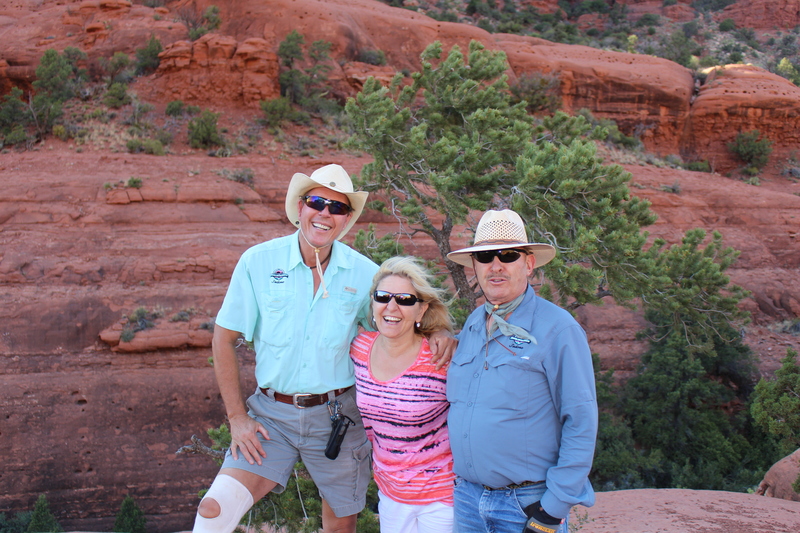 All I do is close my eyes and picture our time in the beauty and magnificence of Sedona and I remember it like it was yesterday even though several months have passed. 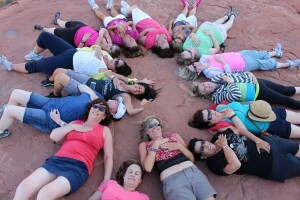 I’m so grateful that I was able to participate in your very first Sedona retreat. As always you were able to bring a group of diverse women together and facilitate our bonding and spiritual growth on a profound level. 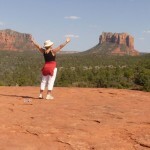 Sedona was such a place of ‘grounding’ for me and I felt so at peace there. It was another milestone in the journey of self – discovery that I have embarked on since meeting you 3 years ago this month!! 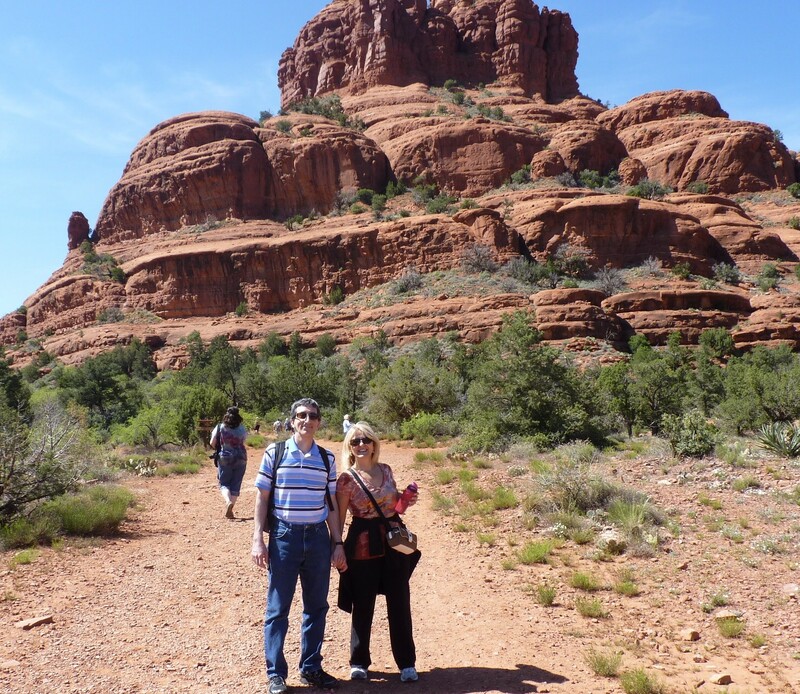 You have helped me to become a much better version of ‘me’ and Sedona was a great place to connect to self and delight in the wonders of nature. Not to mention how much fun we had !!! I absolutely loved how much we laughed, and those were full on belly aching laughs!! It was such an amazing time and I can certainly see myself wanting to do that again!!!! Thanks for doing what you do.” Sharon R.